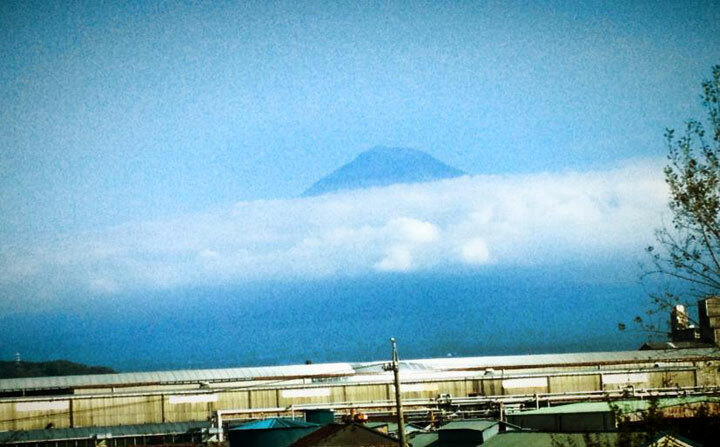 The hurricane has passed by and the it was a sunny morning. 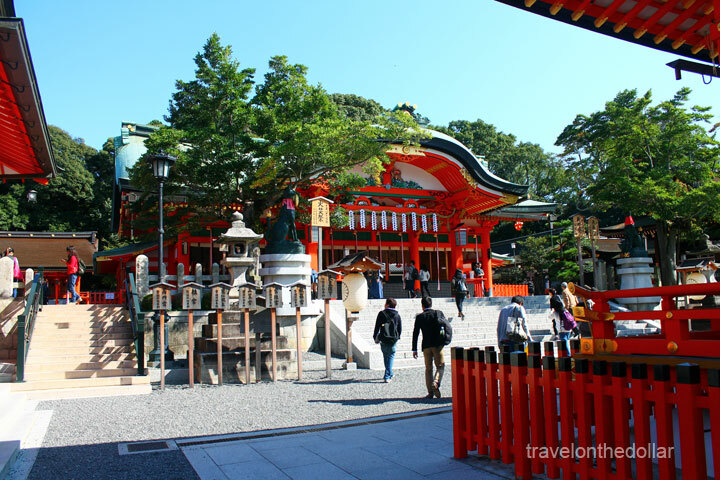 We checked out of Chisun Inn Asakusa at 8am and walked to Asakusa station to take a train to Tokyo station. We needed to exchange our JR ticket for an actual JR pass, so we stood in line outside the JR Pass office at Tokyo station that opens at 9am. 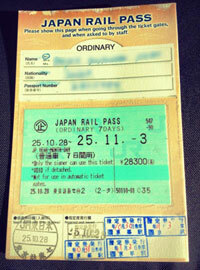 When you purchase a JR Pass from your home country, you will be given a voucher that looks like an 1990s airline-ticket, which you must exchange for an actual JR pass in Japan. Detail out the dates and times of the trains you will be taking; and it is recommended to book your seats in advance. 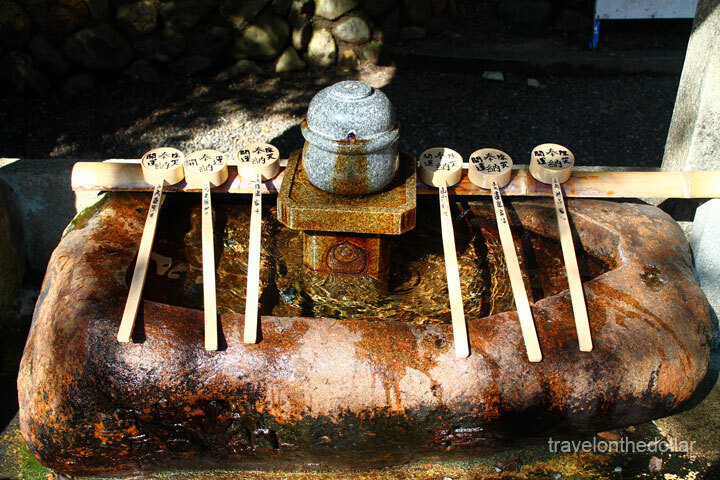 Having a strict itinerary we booked all our trains all the way to the departure date. 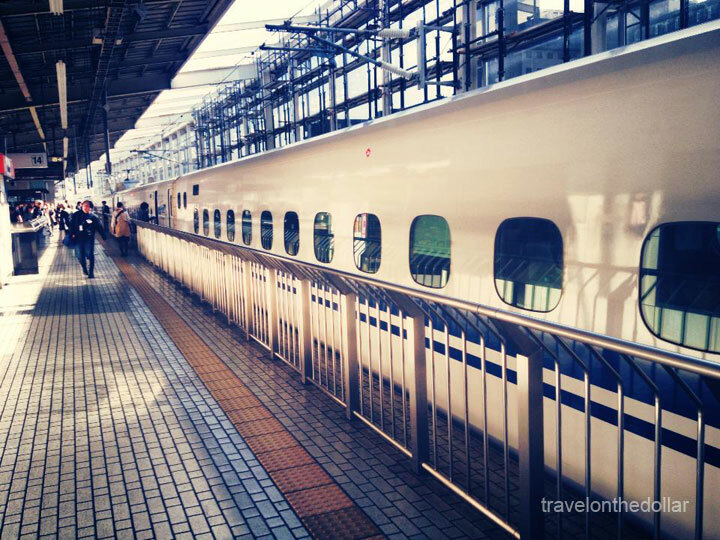 The whole booking process takes time so plan your exit from the Tokyo station accordingly. 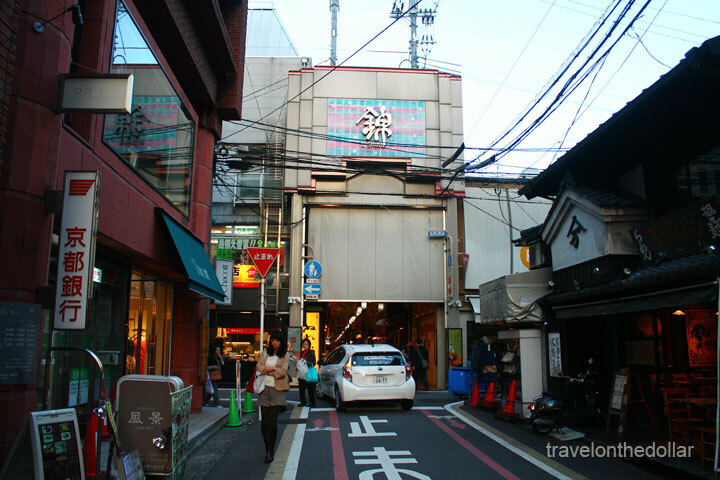 Our hotel, Hokke Club Kyoto, was right opposite the station. 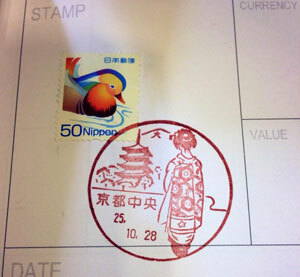 But before checking in, we stopped by the Kyoto Post office next to the station for my postal stamp. The staff at the post office were impressed by the collection and offered to give a ‘collection stamp’ instead of the regular one. 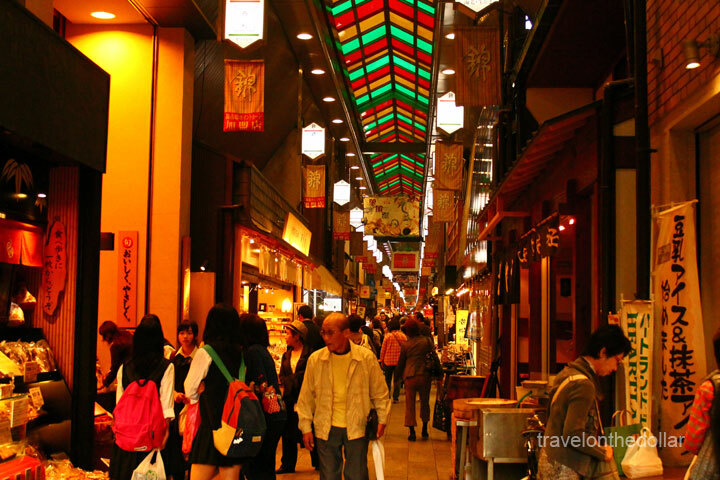 We checked-in to the hotel and walked around the main street before heading into the closest restaurant for lunch. 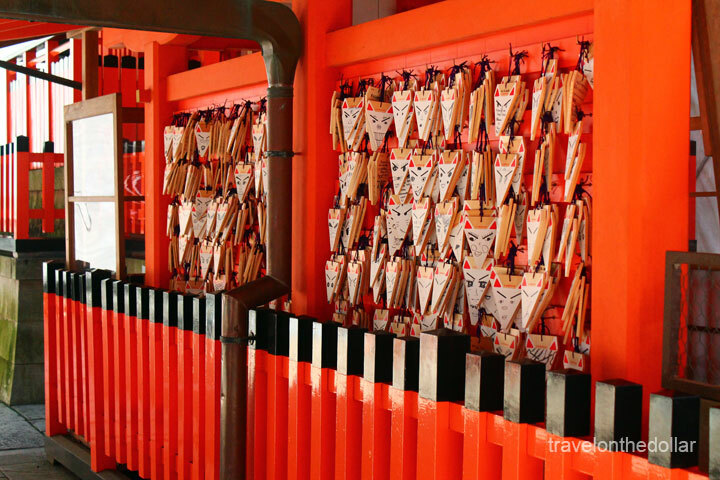 After getting out of the restaurant at about 2pm, we took the local JR Nara line (tickets covered as a part of Japan Rail Pass) from Kyoto Station to Inari Station, that takes about 10 minutes. 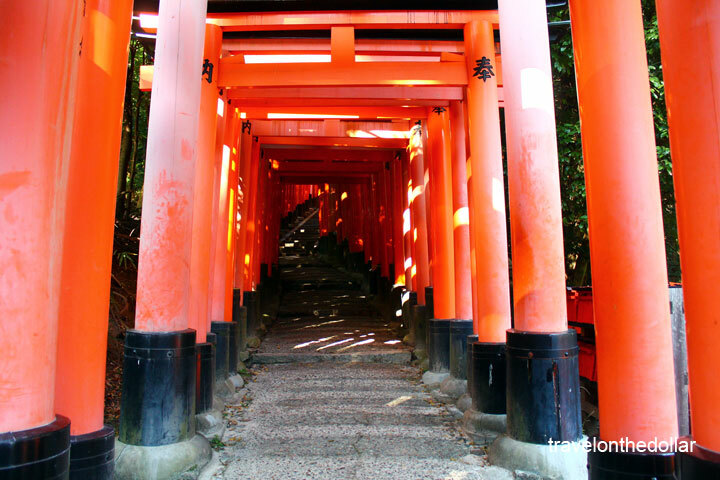 An important Shinto shrine in Kyoto, Fushimi Inari shrine is famous for the thousands of vermilion torii gates, which straddle a network of trails behind its main buildings. 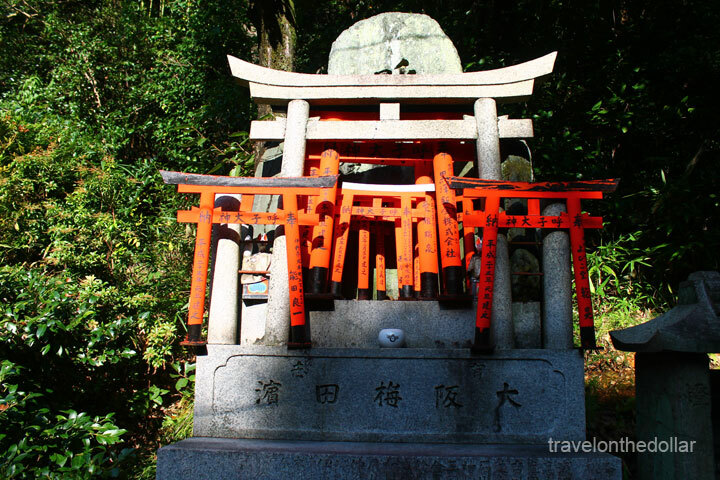 The trails lead into the wooded forest of the sacred Mount Inari, which stands at 233 meters and belongs to the shrine grounds. 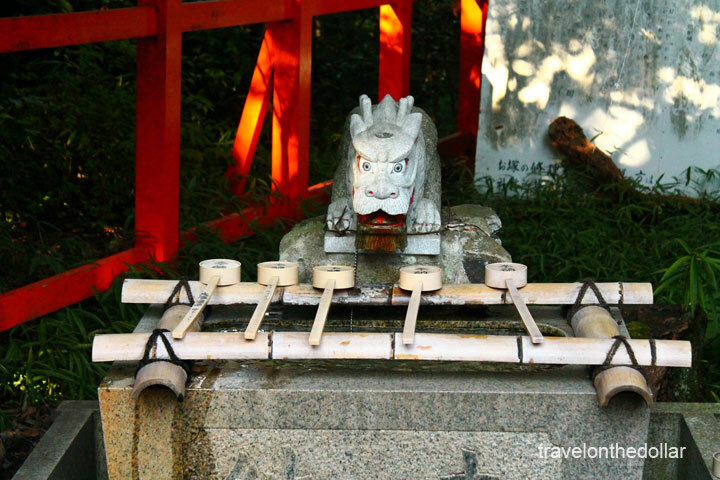 Foxes are thought to be Inari’s messengers, resulting in many fox statues across the shrine grounds. 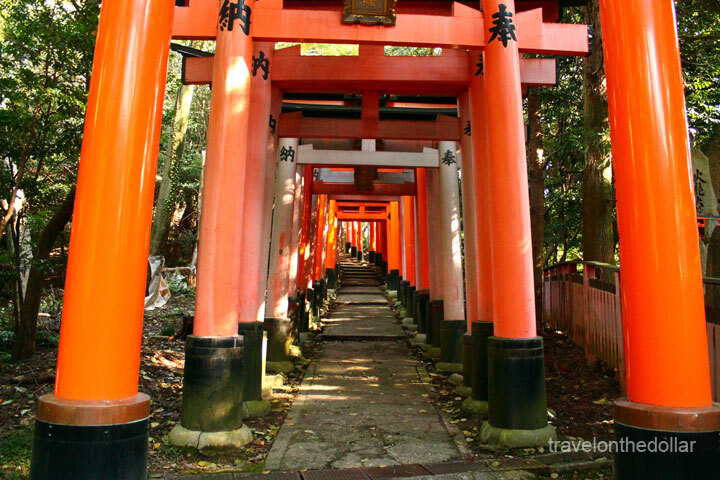 While the primary reason most foreign visitors come to Fushimi Inari Shrine is to walk through those torii gates, the shrine buildings themselves are also attractive and worth a visit. 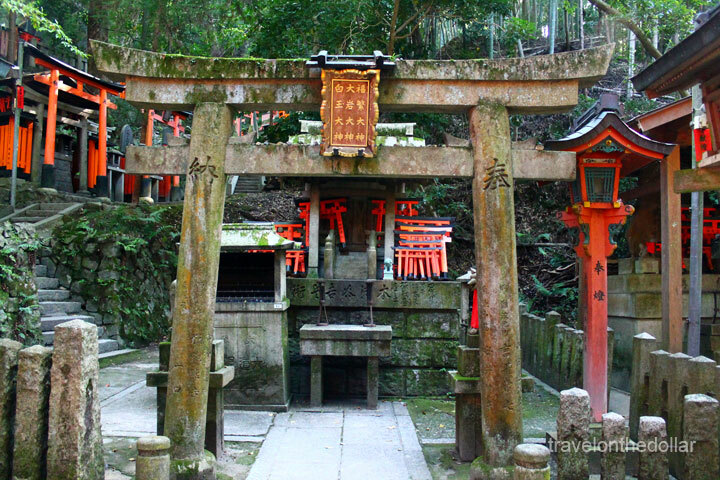 These torii gates are donations by individuals and companies, and you will find the donor’s name and the date of the donation inscribed on the back of each gate. 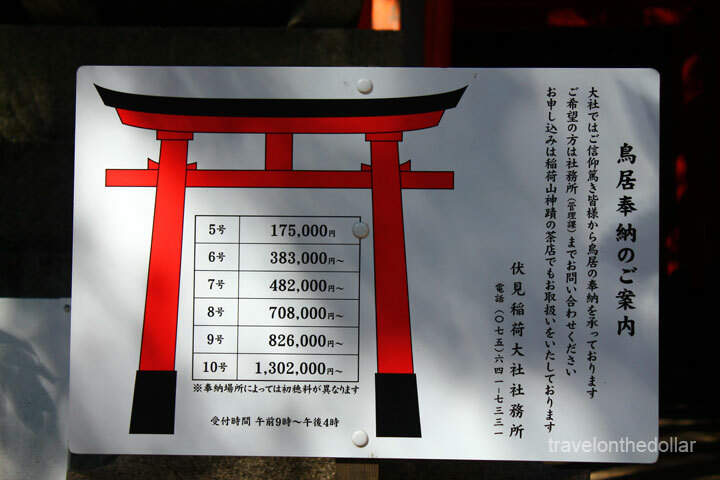 The cost starts around 400,000 yen for a small sized gate and increases to over one million yen for a large gate. 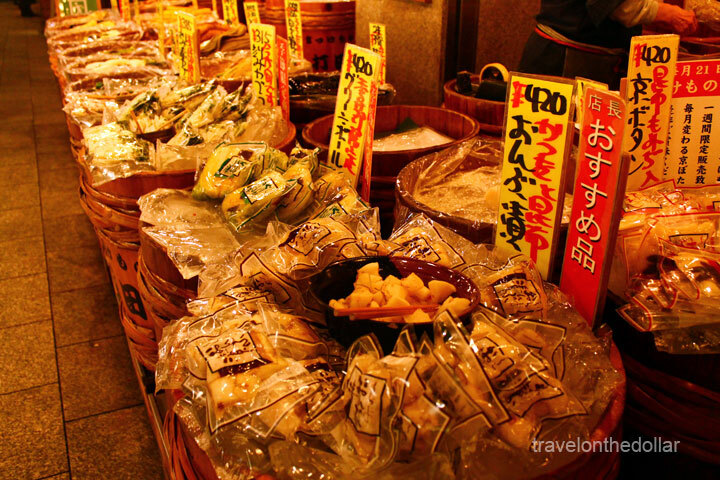 There are also a few restaurants along the way, which offer locally themed dishes such as Inari Sushi and Kitsune Udon (“Fox Udon”), both featuring pieces of aburaage (fried tofu), said to be a favorite food of foxes. 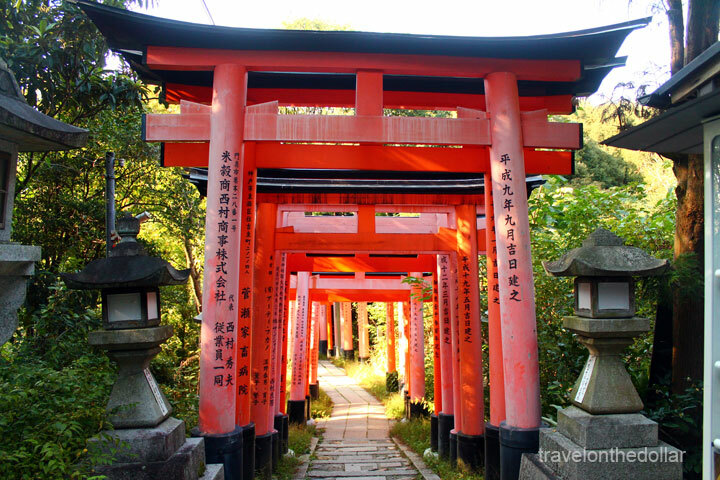 After about a 30-45 minute ascent and a gradual decrease in the density of torii gates, visitors will reach the Yotsutsuji intersection roughly half way up the mountain, where some nice views over Kyoto can be enjoyed, and the trail splits into a circular route to the summit. Many hikers only venture as far as here, as the trails do not offer much variation beyond this point and the gate density decreases further. 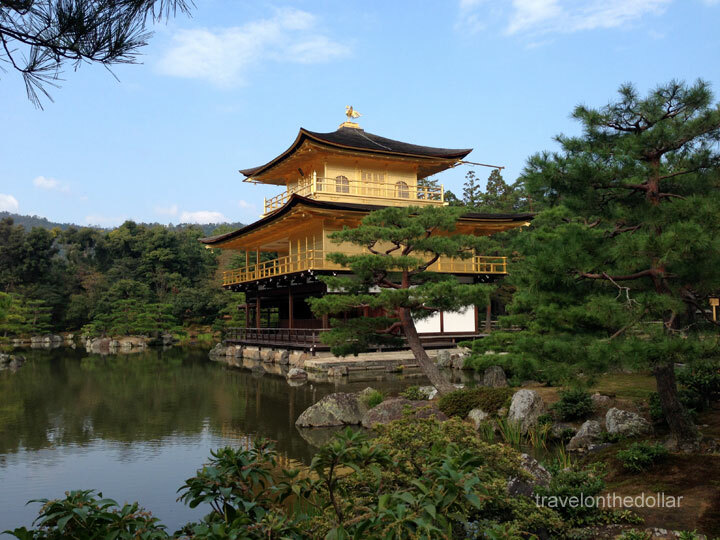 Returning back to Kyoto Station, we took the local 100 bus to the Golden Pavilion – Kinkaku-ji Temple. 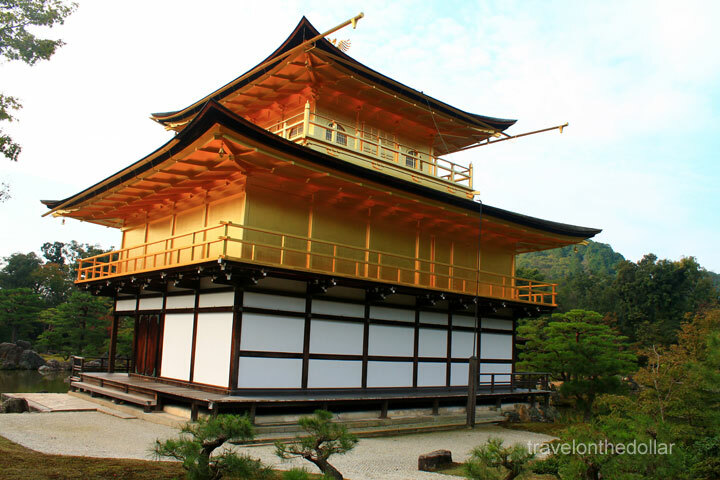 An impressive structure built overlooking a large pond, this is the only building left of Yoshimitsu’s former retirement complex. 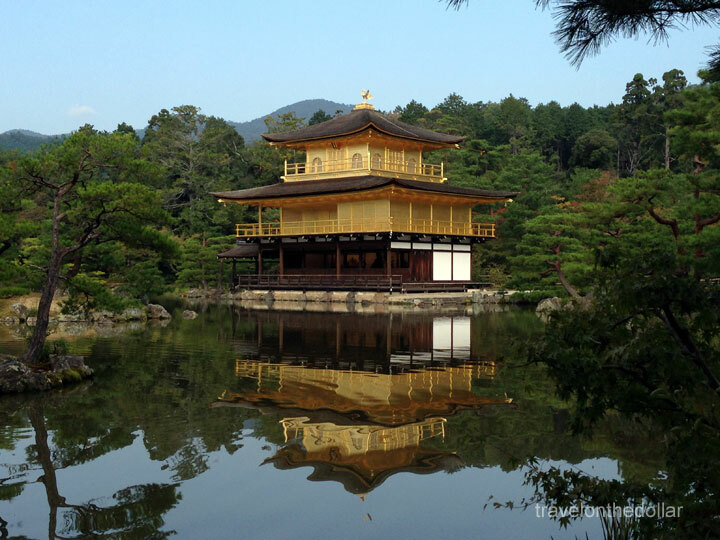 After viewing Kinkaku-ji from across the pond, you will pass by the head priest’s former living quarters (hojo) which are known for their painted sliding doors (fusuma), but are not open to the public. 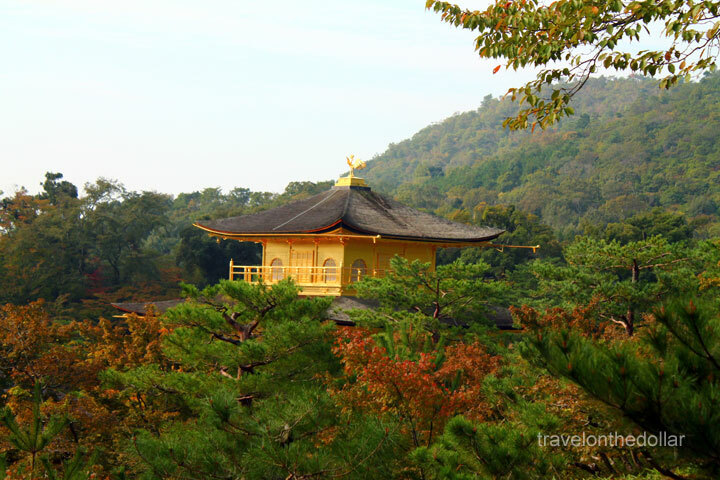 The path once again passes by Kinkaku-ji from behind then leads through the temple’s gardens which have retained their original design from Yoshimitsu’s days. 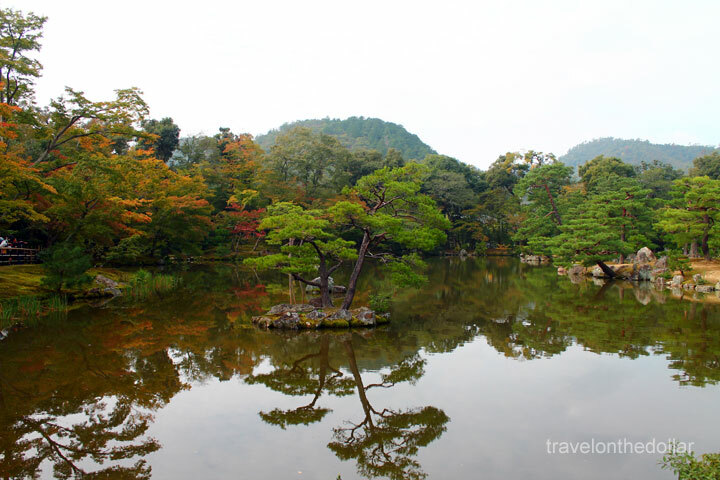 Continuing through the garden takes you to the Sekkatei Teahouse, added to Kinkaku-ji during the Edo Period, before you exit the paid temple area. 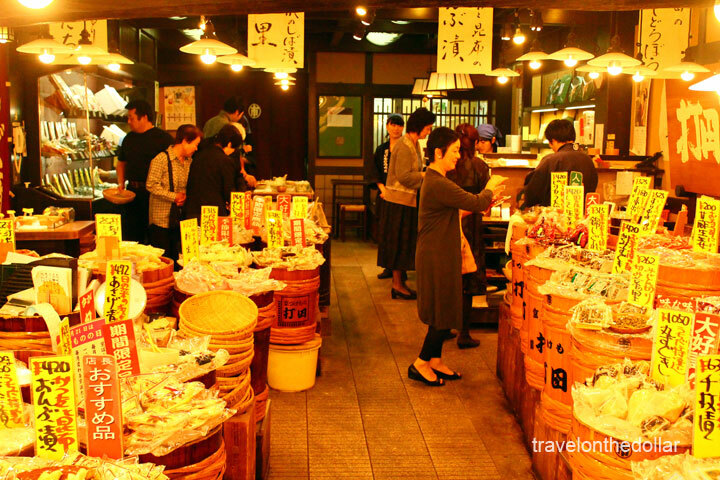 It was almost sunset when we got back to Kyoto station, and took the train to Gion Shijo station, from where it was a 10 minute walk to the most visited and famous market of Kyoto – Nishiki Food Market. 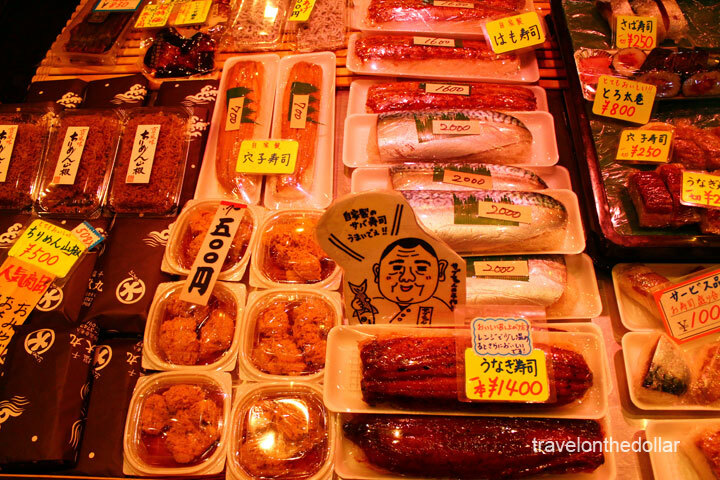 A narrow, five block long shopping street, the Nishiki food market is also known as “Kyoto’s Kitchen” because of all the food-related stuff sold here – fresh seafood, produce, knives and cookware. 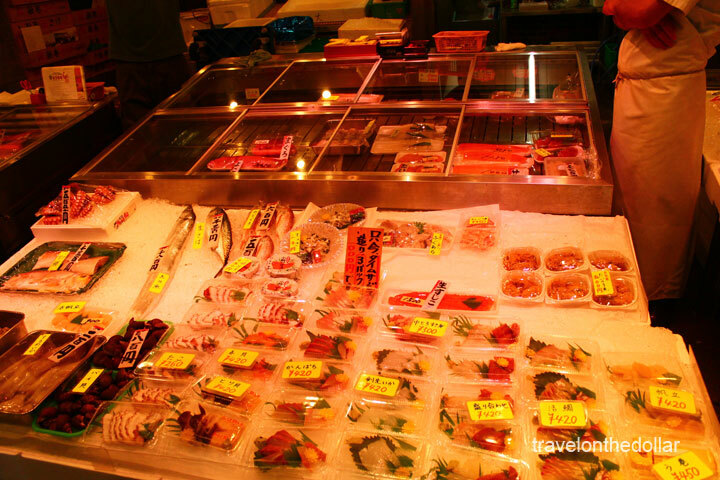 You can spend hours here looking and trying the Japanese sweets, pickles, dried seafood and sushi. 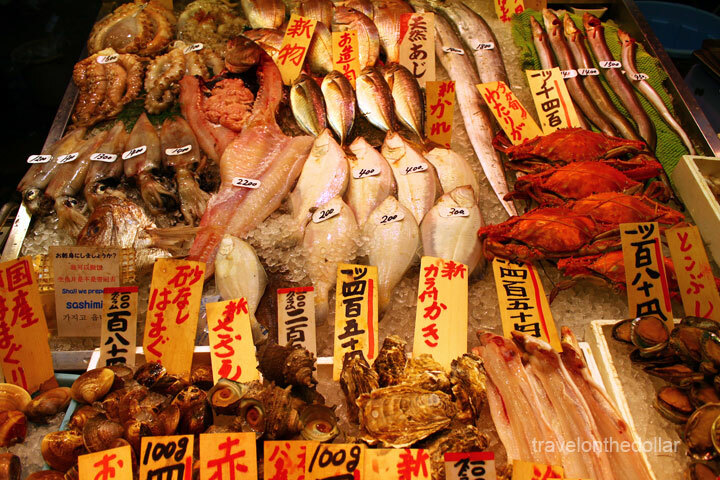 The Nishiki Market street runs parallel to Shijo Avenue, one block north of Shijo Avenue. 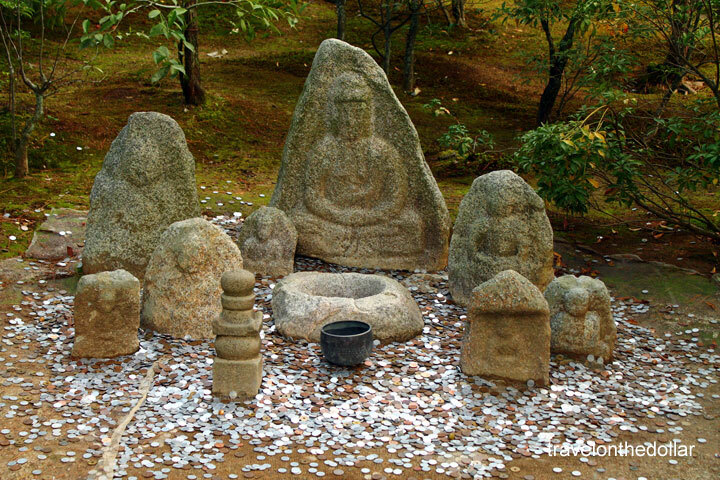 It can be reached on foot in less than five minutes from Shijo Station on the Karasuma Subway Line (4 minutes, 210 yen from Kyoto Station) or Karasuma or Kawaramachi Stations on the Hankyu Line. 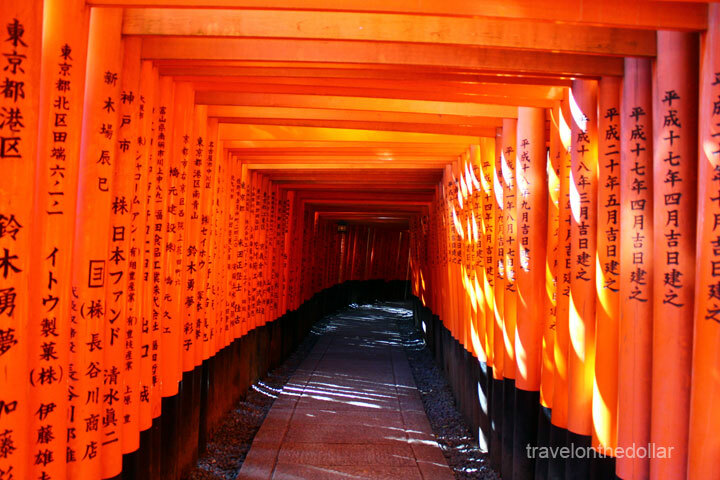 We decided to walk back 45 minutes to our hotel near Kyoto station, taking in what the Gion district and Kyoto city had to offer. Stopped by an Italian restaurant for a taste of Italy in Japan! 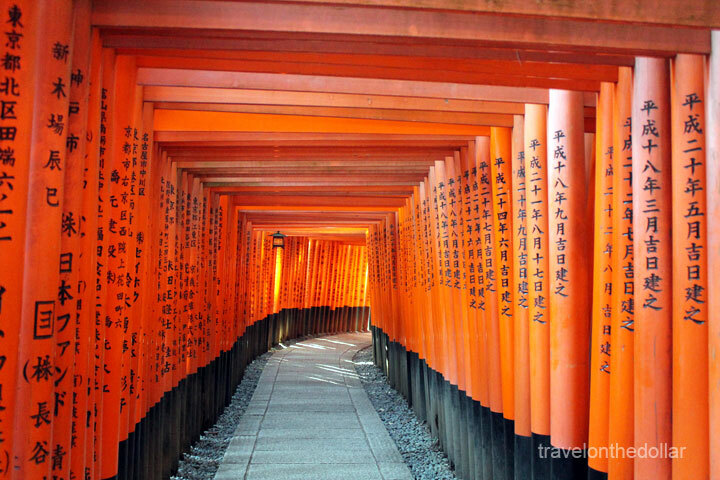 Next day was going to be filled with the glorious and world-famous shrines and temples of Kyoto. 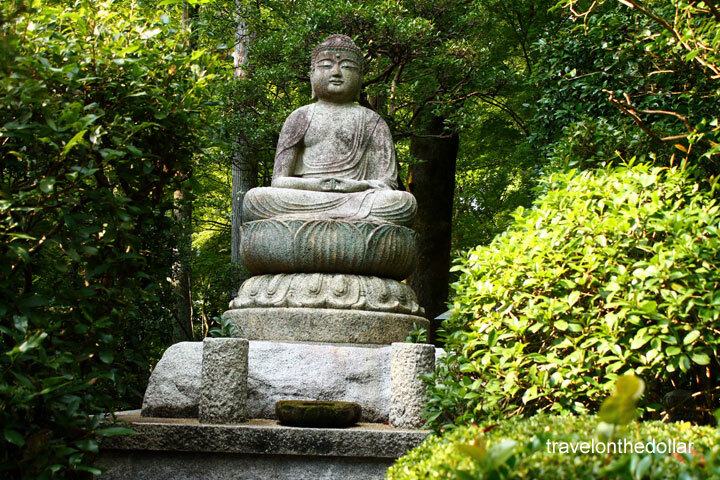 Ryuzu Falls, Kegon Falls, Chuzenji Lake, Tosho-gu Shrine, Rinno-ji Temple, Shinkyo Bridge. 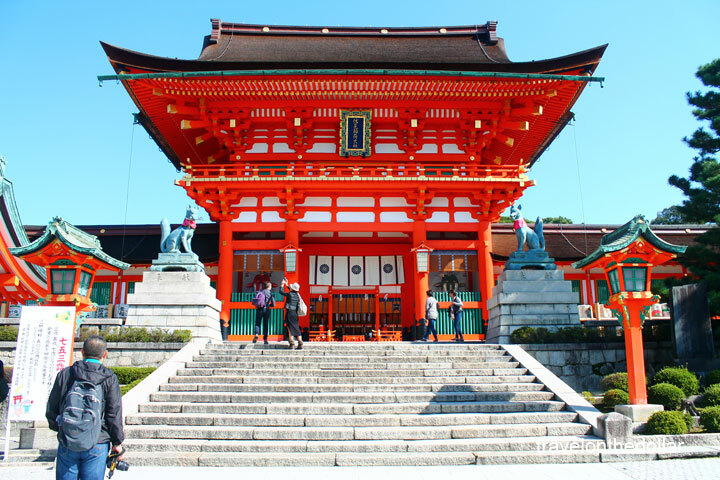 Fushimi Inari shrine, Kinkaku-ji Temple, Nishiki Food market.